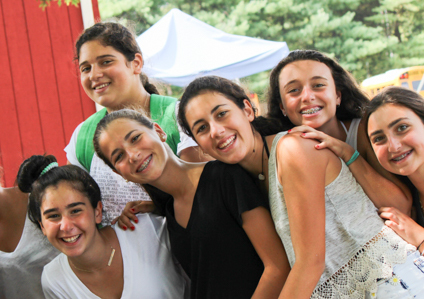 Mission: Create a summer experience for our families so exceptional that it creates campers for life! 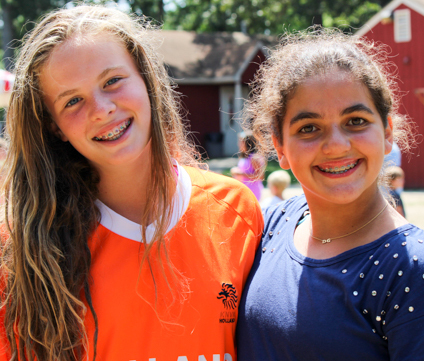 At Pine Grove, our 7th, 8th & 9th Graders participate in our Teen Travel Program, meaning they spend 2 or 3 days a week in camp (depending on their grade) and go out on day trips the other days. The 8th and 9th Graders are in camp on Tuesdays and Thursdays and travel on Mondays, Wednesdays, and Fridays while the 7th graders are in camp Monday, Wednesday and Friday and travel Tues & Thurs. Our Teens (8th and 9th Graders) also have the option of participating in a 4 day long overnight trip as well (please be advised that space is limited). While in Camp, our Teens follow a group schedule and travel from activity to activity in groups of 10-15 campers with 2 counselors. The group schedules have 2 periods of free swim, Climbing Tower and Ropes Courses, a variety of athletic and creative activities, and a period of Choice. During the Choice period, our Teens can pick the activity they would like to participate in. While out of Camp, our Teens follow the Pine Grove Travel Protocols for Safety. All Teen Travel campers and their parents must sign our Teen Travel Behavior Contract. Like all of our Divisions in Camp, the 8th & 9th Grade Teen Travel Programs has a Division Leader (adult teacher) that oversees the division in camp and also travels with them on the day and overnight trips. Our Teen Staff is specially trained to supervise our campers in public places and to manage the challenges that come with the early teens. Copyright 2016 Pine Grove Day Camp. All rights reserved.